About two months ago i was approached by a company that i work with on a regular basis to rebrand their new product line and off shot company. Of course i jumped at the chance! The company is greenfieldcreations.co.uk and along with being an excellent box/packaging manufacturer, they specialise in cardboard coffins. In fact they are award winning and have examples showing in places like the science museum, London. The starting brief was to generate a new colour scheme and logo based around the existing company. 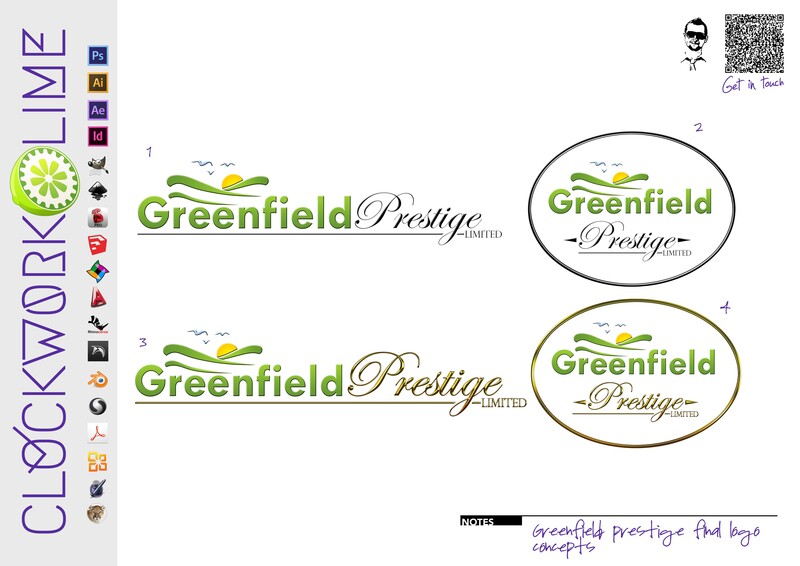 The new ‘Greenfield Prestige’ had to be a clear derivative from its parent company, but also obviously something different and a little more ‘upmarket’. With this logo as with any other, it needed to be kept relatively simple to allow for reproduction on stationary and the like later on down the line. So, as you’ll be able to see from the examples below, theire were many ideas put forward after are initial meeting, but all based around the same key elements. 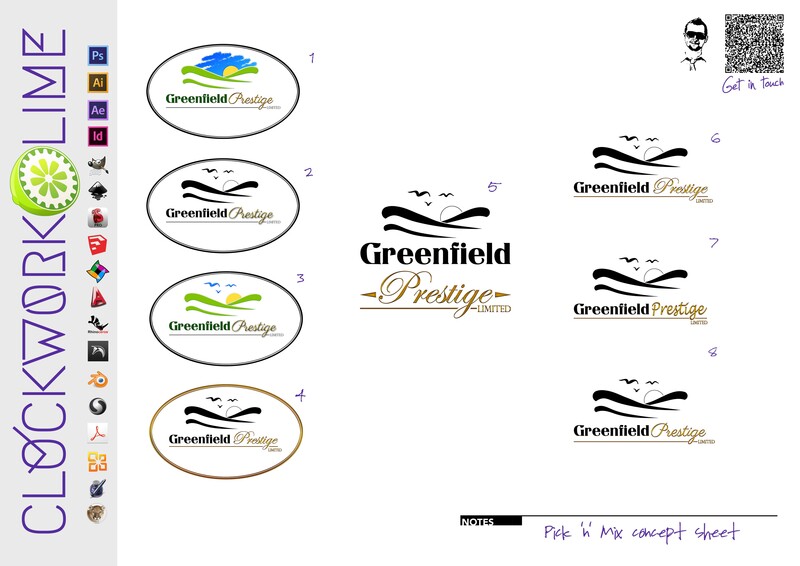 From these concepts, the client picked out the options they preferred and the final logo options were generated. Since the completion of the logo, i have been commissioned to produce extensive advertisements, campaign and show materials. All of which will feature in the next post. Thanks for reading, and keep checking back for newly added content.